Ahmad Khan Rahimi—a.k.a Ahmad Rahami—who was responsible for bomb-related incidents in Seaside Park, Elizabeth, and New York City in September, was arrested after citizens reported suspicious activity to local authorities, underscoring the importance of the public in countering terrorism. On September 19, law enforcement officials in New Jersey and New York issued alerts on Twitter and other platforms with photos of Rahimi, stating he was wanted in connection with explosions in both states. These messages were also sent to cellular subscribers in the New York/New Jersey metropolitan area. Approximately four hours after the alerts were issued, a bar owner in Linden saw a man later identified as Rahimi sleeping in the doorway of his establishment and notified police. Linden police officers responded and, following a gun fight with Rahimi, took him into custody. The previous day, two men found a backpack containing five pipe bombs near the Elizabeth train station. They notified local police, who detonated the device. Such success indicates public outreach efforts aimed at raising awareness of terrorism-related behaviors and telling citizens where to report suspicious activity can yield impactful results. 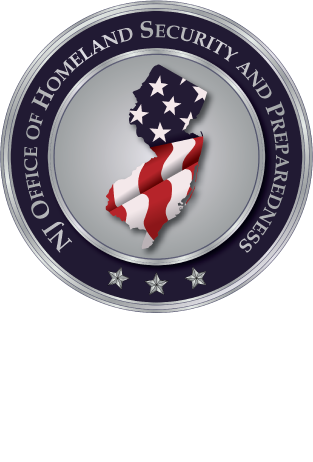 With this in mind, the New Jersey Office of Homeland Security and Preparedness (NJOHSP), in cooperation with state and federal partners, has several ongoing efforts—workshops, seminars, and media—that can augment local “see something, say something” campaigns, including our Hometown Security Initiative. We encourage all partners to report suspicious activity to local law enforcement and to NJOHSP’s Counterterrorism Watch by calling 866-4SAFENJ (866-472-3365) or emailing tips@njohsp.gov. For more information, please contact NJOHSP’s Collection and Dissemination Bureau at outreach@njohsp.gov or 609-584-4000.